Doodle with beads to create your own unique bracelet with size 8, 11, & 15 seeds. 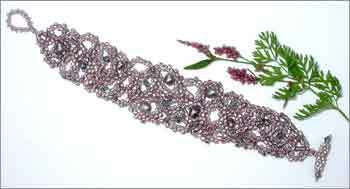 Draw a pattern of loops, bead the loops and fill in a few of those loops with crystals and pearls. No two will be the same!